This is a moderately advanced neutrophil (white blood cell of the polymorphonuclear leukocytes subgroup) in terms of age. The nucleus is constricted at several points. 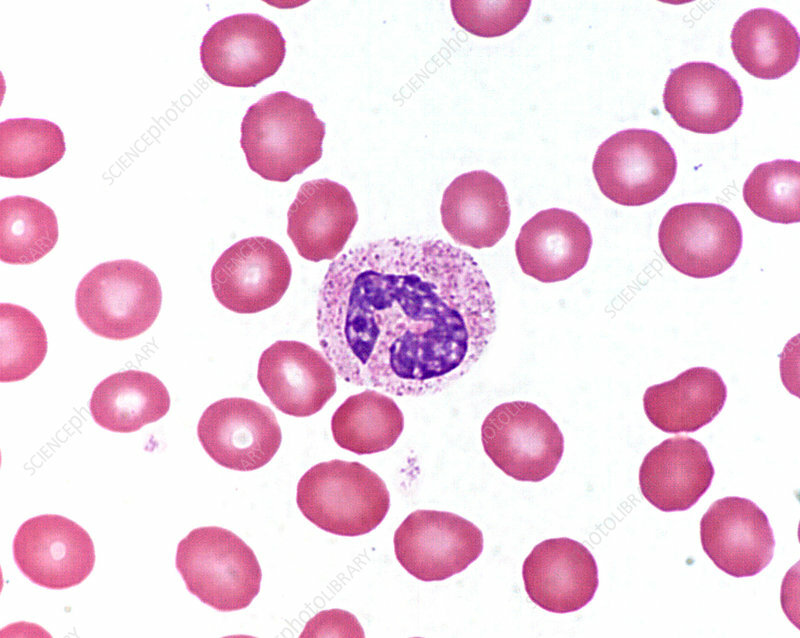 The cytoplasm exhibits typical neutrophilic granules. The size of this neutrophil is approximately 12 micrometers in diameter. Wrights stain.